The parade starts at 10:00 a.m. on Saturday, September 2, 2017. FYI #1: Opt for a spot somewhere along the parade route; you’re not going to get a very good view if you stake out a space near the staging area or at the end of the route. 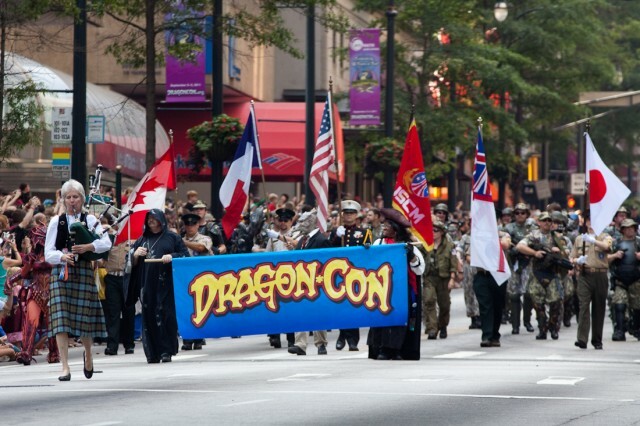 FYI #2: If you don’t feel like fighting the crowds but want to see what all of the fuss is about, you’re in luck: Atlanta’s CW will be offering a live broadcast of the Dragon*Con parade.